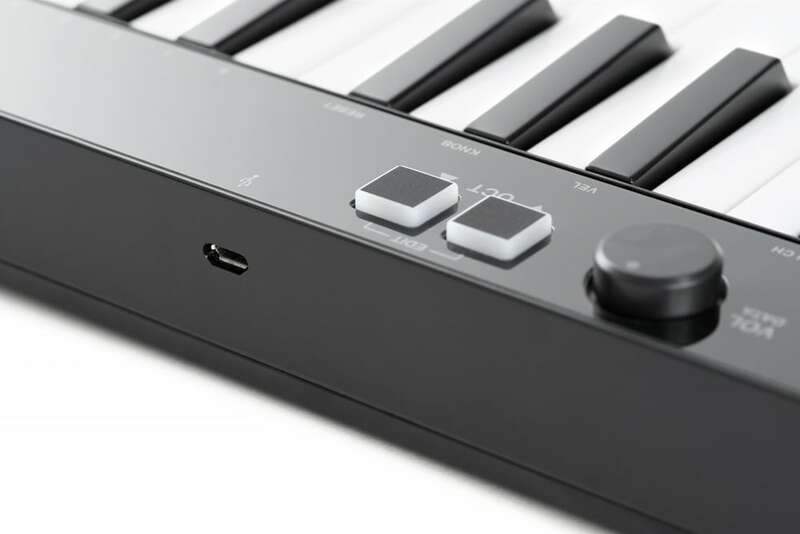 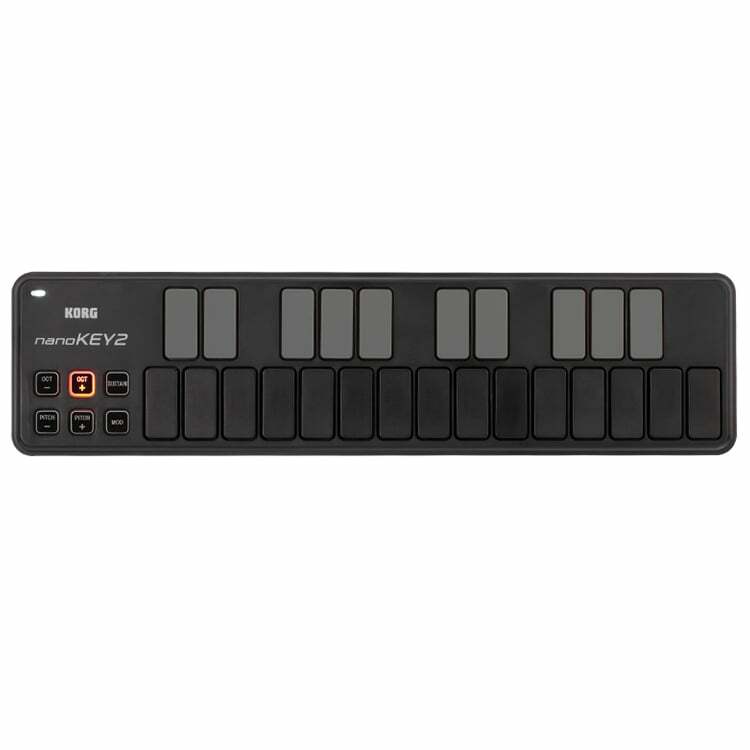 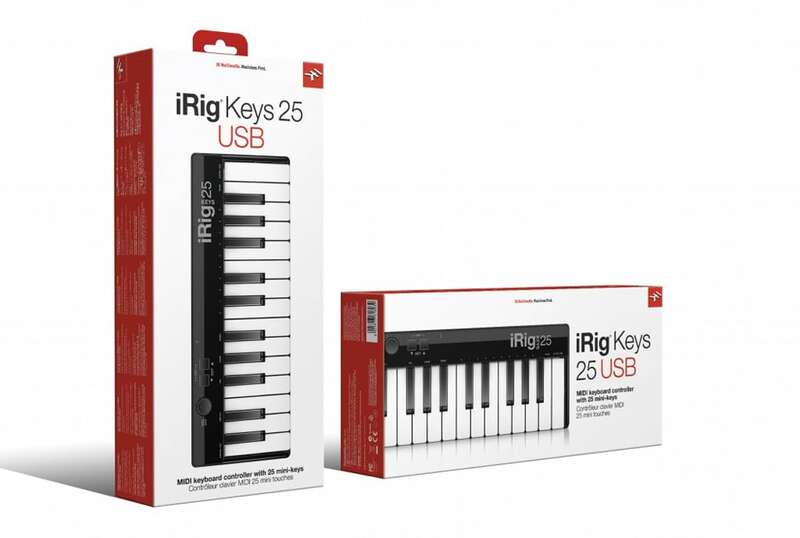 The IK Multimedia iRig Keys 25 is compact 25 key MIDI keyboard that allows you to create almost anywhere with PC/Mac support as well as iOS and Android compatibility. 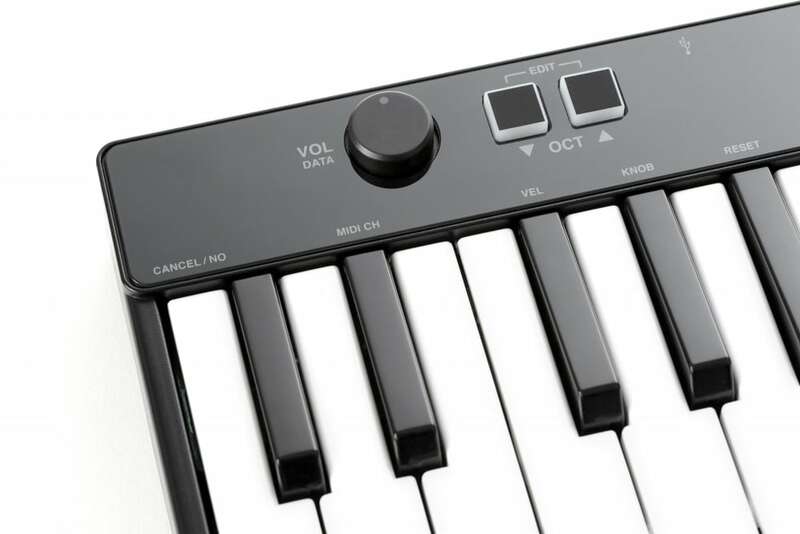 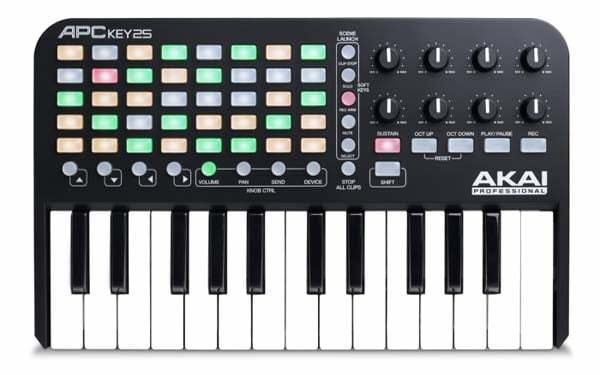 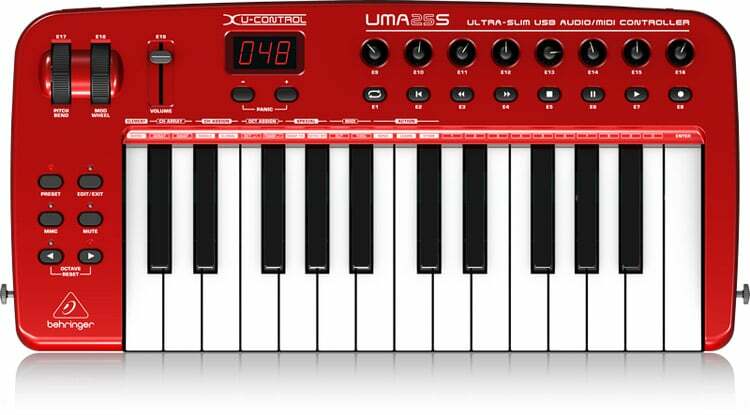 Its 25 velocity sensitive mini-keys provide a generous 2 octave range (plus 1 note), which also happens to make for a compact size that’s perfect for stashing in your laptop or gig bag or backpack. 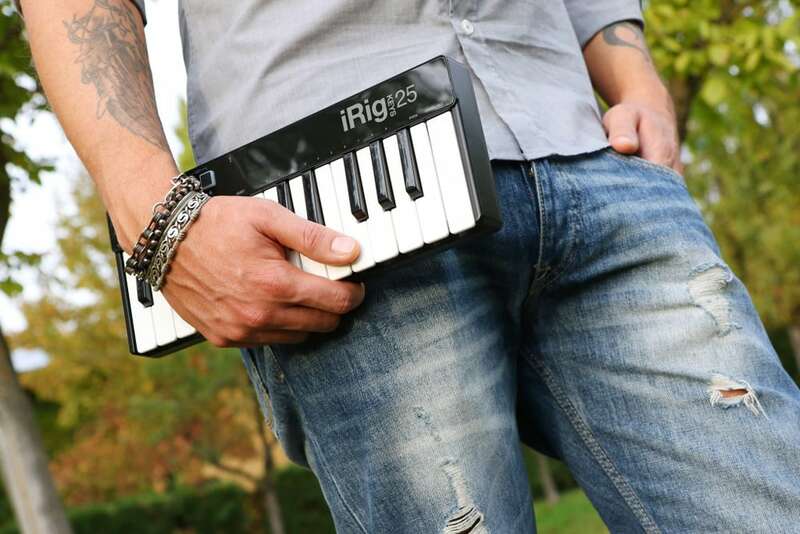 And its small size is matched by its equally small price tag — now you can have a keyboard with you at all times without breaking the bank. 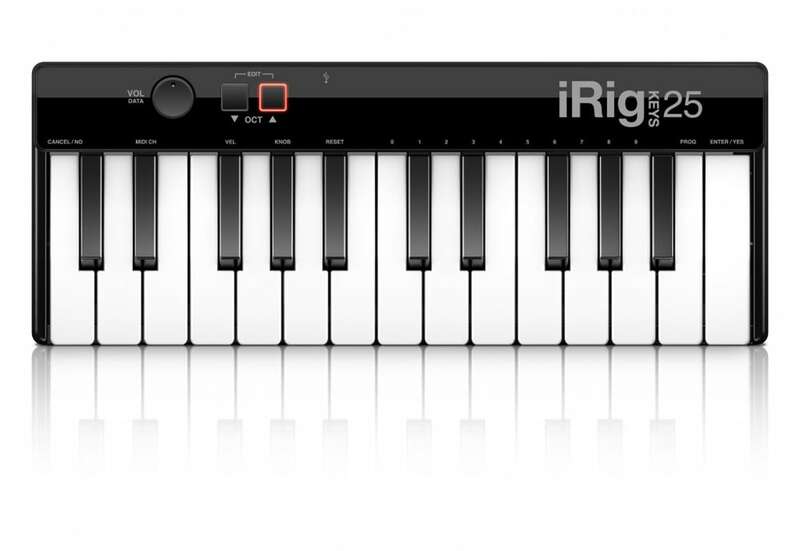 To get you started right away, iRig Keys 25 comes with the Sample Tank 3SE software. 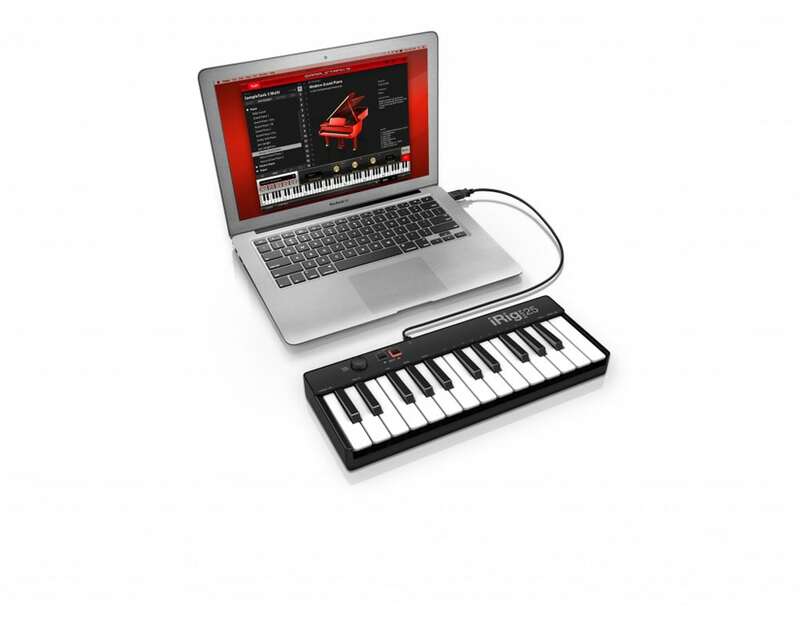 This software can be downloaded and played with immediately, making for a true plug-and-play experience straight out of the box.